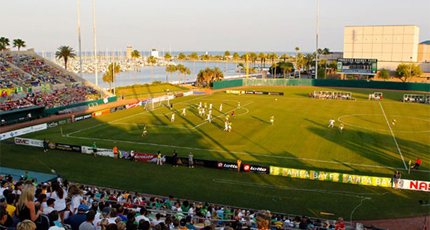 Analysis: Similar to other clubs favoured to do well this season, the Tampa Bay Rowdies have done a great job recruiting players who were highly regarded in the American youth soccer system and as potential MLS players. The Rowdies forward combination of Brian Shriver, Amani Walker, Lucky Mkosana, and Casey Townsend would be familiar to any person who follows either college or soccer at this level. 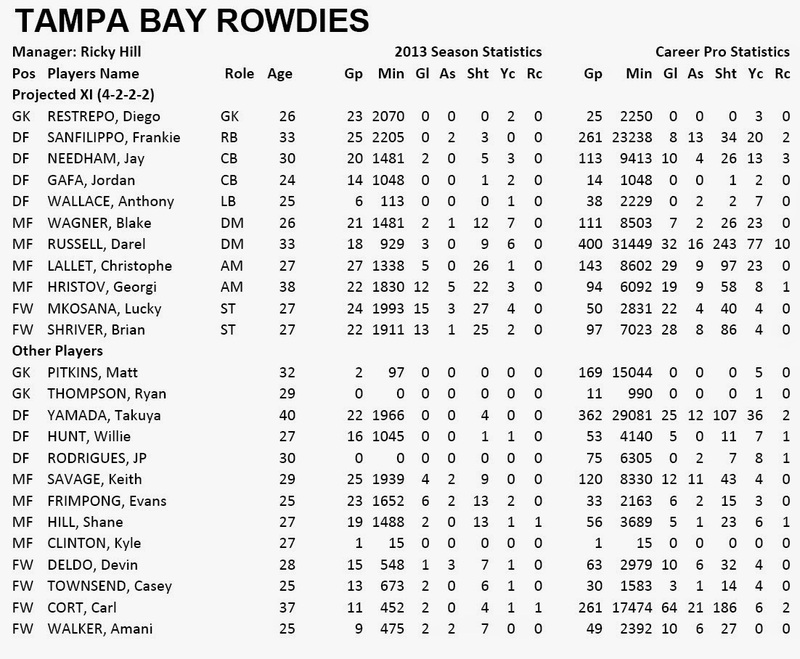 Although what will make the Rowdies successful this season are three foreign signings in the midfield with Bulgarian Georgi Hristov, who scored 12 goals and 5 assists last season, Christophe Lallet, who was a starter in Sweden Allsvenskan, and Darel Russell who has played 400 professional games including 18 last season with Toronto FC. The Rowdies have good experience and depth in all positions and will feel they have as good of chance as anybody else in lifting the 2014 Soccer Bowl.